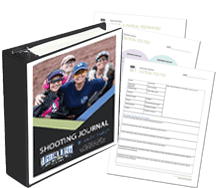 Cindy DeSplinter started shooting USPSA in 2012 at the suggestion of a very good friend. She says, “I absolutely fell in love with the community and the sport! I quickly made friends in the competition world, and even started teaching handgun.” Together her friends founded the Machine Gun Tours Shooting Team. She had been watching 3-gun competitors and wanted to try out the sport. Her teammates urged her to focus on pistol, so she did for a couple of years. 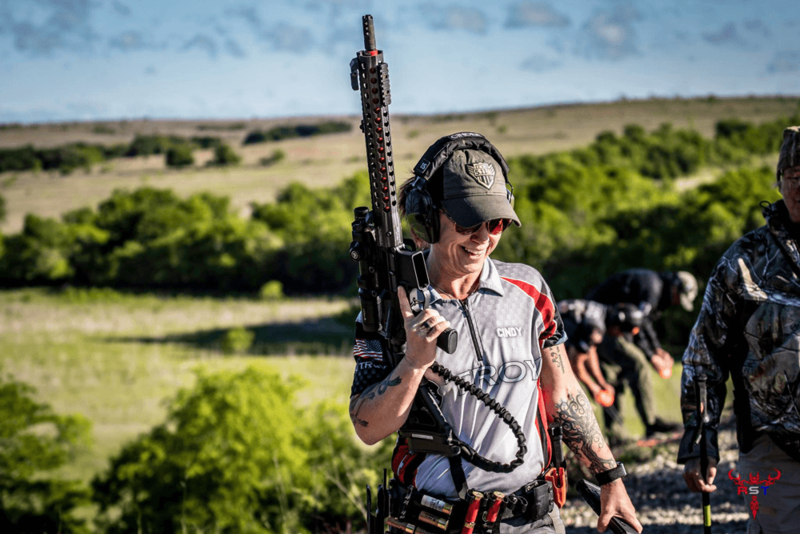 Then in late 2014, Cindy registered for her first 3-gun match, the Noveske 3-Gun Championships. Although she DQ’d on her second stage, she stayed with her squad and helped her teammates reset. She credits her mentors with ensuring that she kept a positive attitude even when she didn’t compete as well as she hoped. 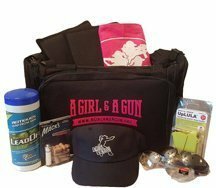 In the spring of 2015 Machine Gun Tours agreed to sponsor an event called A Girl & A Gun (AG & AG) 3-Gun University (3GU), and they asked her and another female shooter to attend this ladies-only event. Cindy jumped at the chance to learn from some of the best women competitors out there! In the spring of 2016, Cindy was invited to return to the AG & AG 3GU, but this time as an instructor. Troy Industries came on board as a Signature Sponsor of AG & AG and Cindy learned about Troy’s great product line. More importantly, she met Juli Brayton, who was a VP with Troy at the time. Cindy spent the next several months working as a staff member at several major matches and she gained a lot of experience. In the fall, Cindy ran a side stage sponsored by the Henning Group at AG & AG’s Fall Festival. This stage was unique because it was a team challenge. Cindy says, “I absolutely loved the team approach to shooting a stage, and so that is why we changed the format of Micah’s Memorial 3-Gun match to a 3-shooter team event.” Cindy’s club hosts an annual charity match for Donor Alliance in honor of her son, Micah, who was only 13 years old when he passed away in 2016. Throughout 2017, Cindy was regularly competing and teaching, and even helped run the AG & AG Denver West chapter. She was asked to be a competitive shooter for Team Troy representing Troy Industries. She is looking forward to teaching rifle skills at the 2018 3GU at the AG & AG Fall Festival and competing in the Brownells Ladies Multigun Championship.